As the weather here in North Carolina continues to get more and more beautiful, I can't help but think about some of the warm weather must-haves on my wish list. Depending where you live, some of these items may not be relevant until late spring (sorry Northerners! ), its never too early to dream of sunny days. 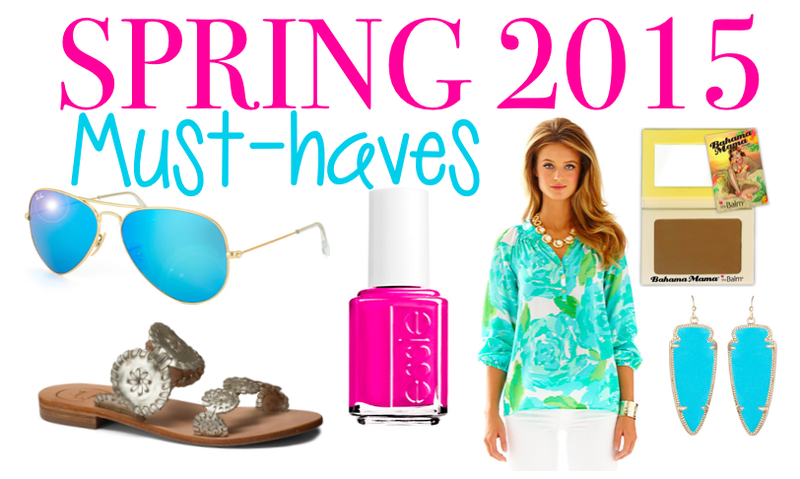 Check out some of the items I'm saving up for as the days get longer and the temperatures rise. This shoe has my name written all over it - quite literally! 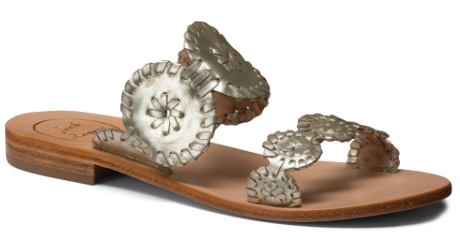 While I love the look of the flip-flop style Jacks, I really like the more boho look of the Lauren style sandal. 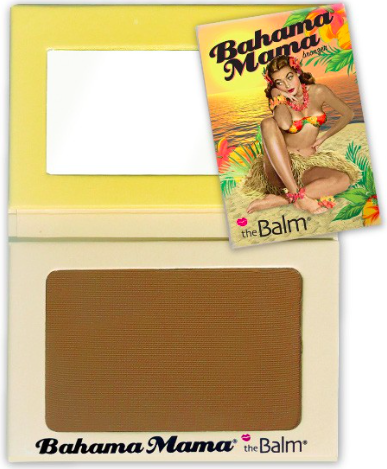 This bronzer was my go-to all last spring and summer. It's perfect for contouring and its really bold so a little bit goes a long way. Its the perfect way to achieve a sun-kissed glow even without a trip to the beach! 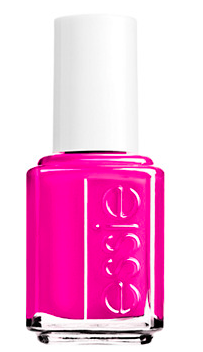 Essie Nail Polish in "Too Taboo"
I wear hot pink nail polish year-round but for those looking for a bright pop of color to ring in the spring, this shade will not disappoint. 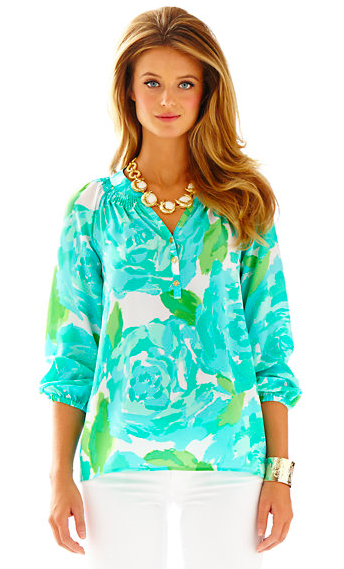 Lilly Pulitzer Elsa Top in "First Impressions"
First Impressions is my favorite Lilly pattern and the Elsa is the perfect top for spring weather. This is definitely a splurge I am planning on making! 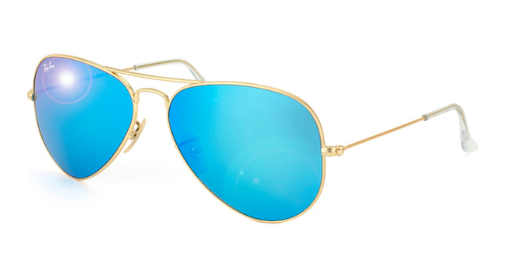 I haven't ever been a sunglasses person, but for driving on long road trips between home and college, I've quickly realized that sunglasses are a necessity. I am a HUGE fan of all things Kendra Scott. 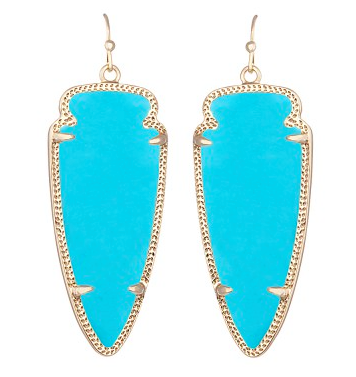 While I own a few pairs of the Elle and Danielle earrings, I absolutely love the arrowhead shape of the Skylar. So unique and statement-making! For my last day of spring break, my mom and I headed into NYC for a fun morning exploring the Flatiron District. While I've walked through this area before, I can't believe its taken me this long to discover all of the wonderful shops and delicious food spots it has to offer. 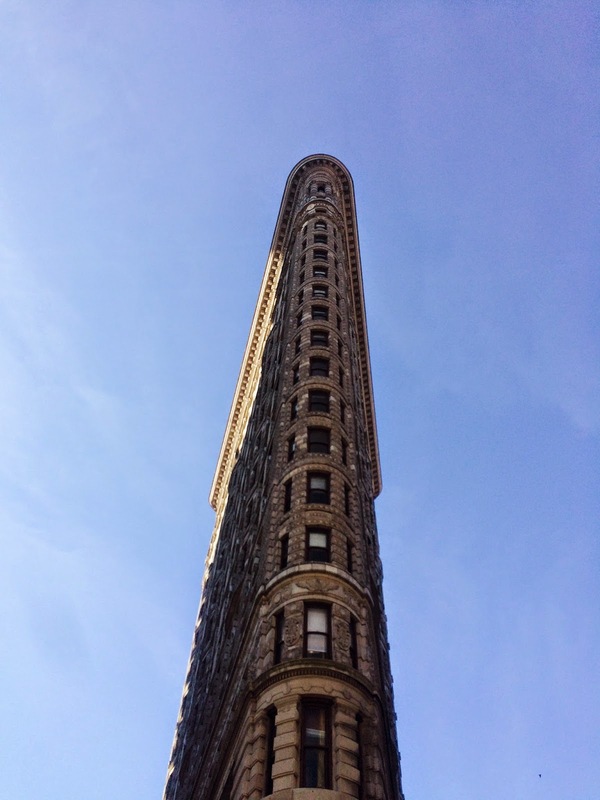 The namesake of the Flatiron District is the Flatiron Building. It's unique architecture and flat shape make it a landmark of New York City. We started the day at City Bakery, a trendy bakery tucked in 5th avenue with world-famous hot chocolate. I can't even begin to describe how delicious it is and the homemade marshmallow on top is the perfect addition. 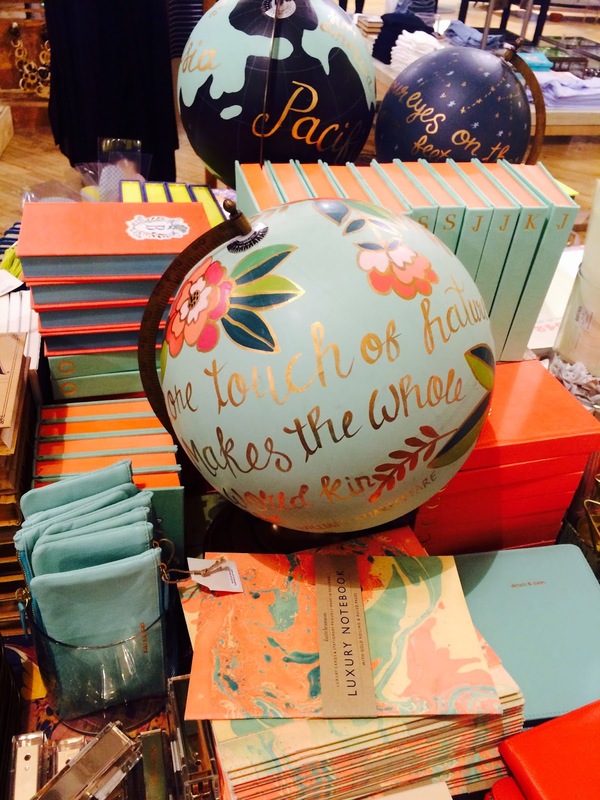 I snapped this at Anthropologie because who doesn't love pastels and painted globes?! 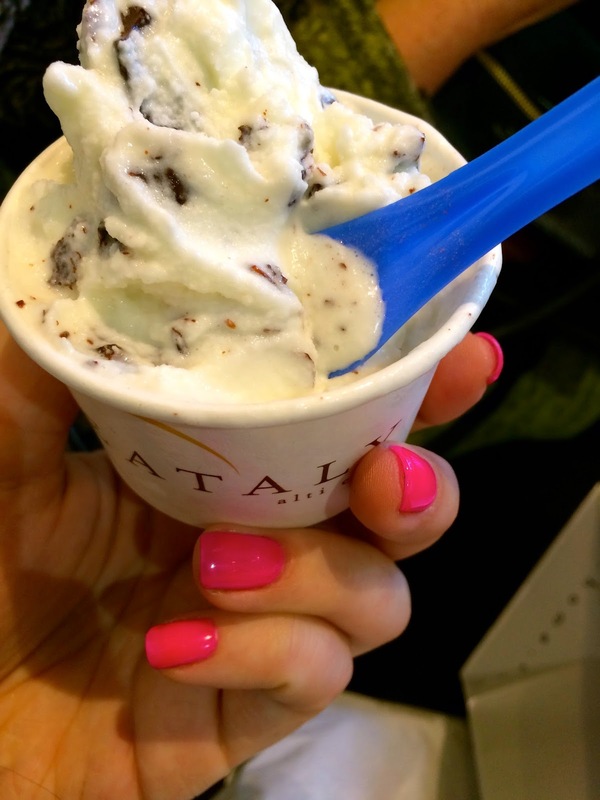 I've been dying to visit Eataly since the Nutella Bar opened, and while it was sadly just a temporary situation, it was tough to be disappointed when the options for Italian food there were delicious and never-ending. My mom and I grabbed lunch at the beer garden on the 14th floor. 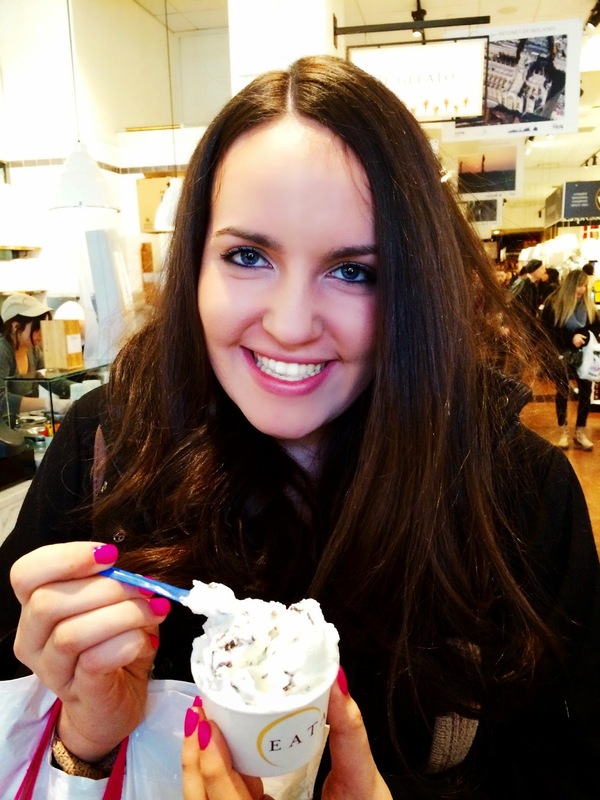 When we finished lunch, I insisted we sample the gelato. I got mint chocolate chip and it was to-die-for! 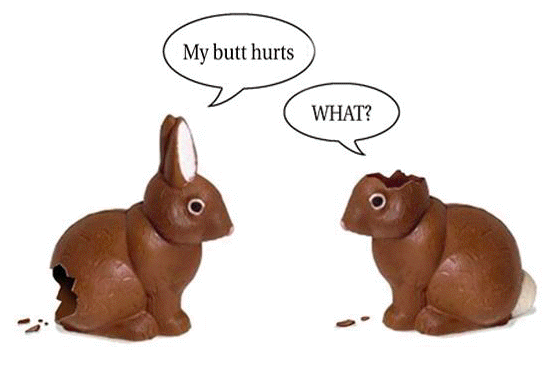 My favorite corny Easter joke! With such a long winter almost behind us, the thought of Easter being less than a month away is an exciting one. Easter has always been one of my favorite holidays-- between the endless amounts of chocolate bunnies and Peeps, pastel shades and fun Easter egg hunts, it's hard to deny that Easter is anything but fun! From the time I was a little, choosing the perfect Easter dress has always been very important to me. I love looking back at pictures from Easters when my mom used to buy matching floral dresses for my little sister and me to wear to church. 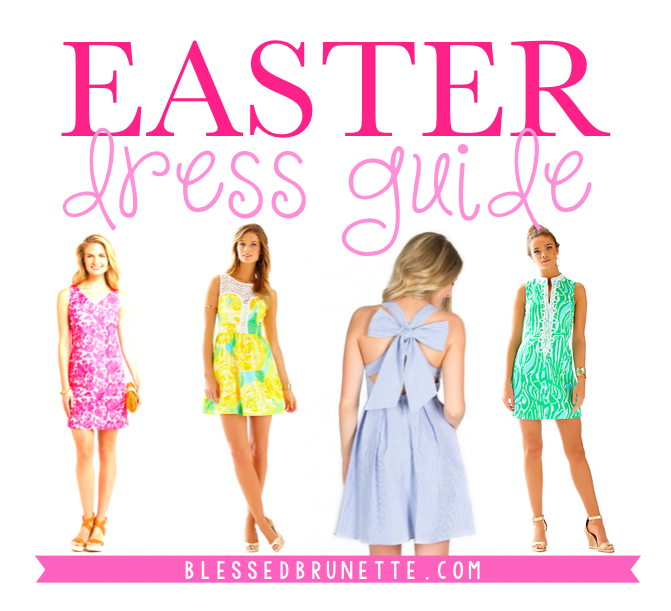 To help narrow down the sea of options for Easter attire, I put together a guide of my current favorite dresses on the market, all of which would be perfect for Easter Sunday. My top four faves are linked below. Happy (s)hopping! College can be extremely stressful. Between intense classes and balancing extracurriculars with homework and a social life, it can be easy for things to get out of perspective. 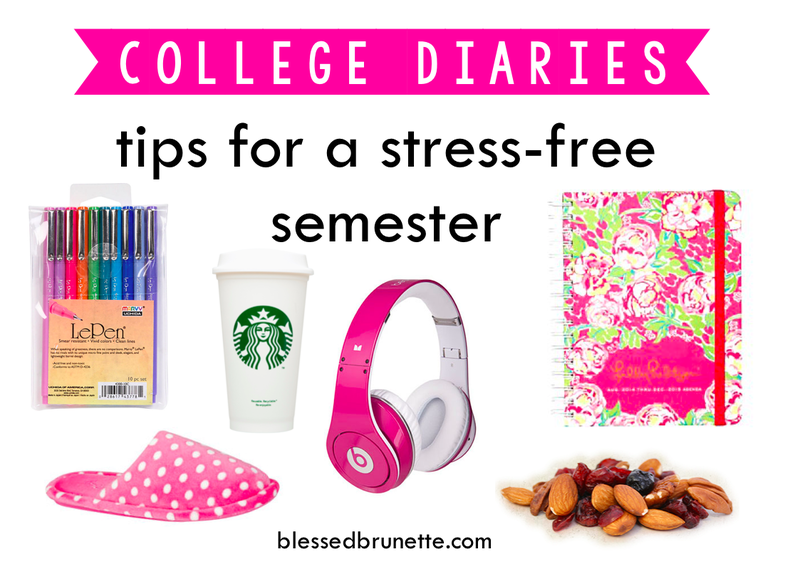 While my best tip for a stress-free semester is certainly "remember to breathe," a few other tricks have certainly helped me limit stress and enjoy college. Doodle! Sometimes when I need a break between finishing classes and starting my homework, I whip out my favorite pens and a notebook and doodle away. 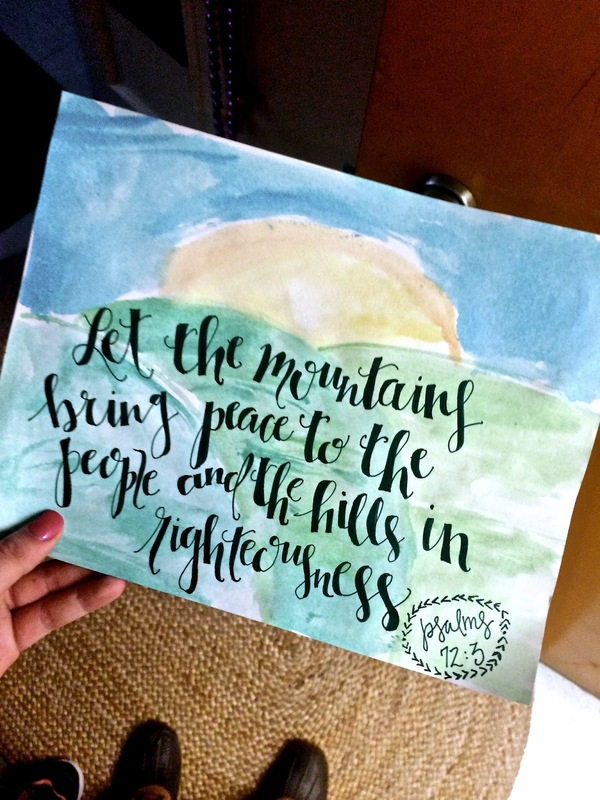 As an added bonus, studies show doodling increases focus and stimulates the brain-- leaving you refreshed and focused when it comes time to get back to school work! Slip on a comfy pair of slippers. As soon as I get back to my dorm, I love taking off my shoes and getting into my Laura Ashley slippers. (I found them for $10 at TJ Maxx!) Not only do slippers feel amazing on your feet, but they are the only thing other than rugs that make linoleum floors homey! Lather on some lotion. This year I discovered Aveeno Stress-Relief Moisturizing Lotion. It smells absolutely amazing and the scent makes you feel instantly relaxed after a long day. Not to mention it moisturizes dry skin which can come about as a result of stress. Invest in Spotify and good headphones. I was always a Pandora person until college, when I discovered Spotify. For $5 a month (with a student discount), you can listen to unlimited music and songs on demand with no advertisements. From workout playlists to feel-good jams, the possibilities are endless. The only pitfall is definitely the lack of Taylor Swift songs. Good headphones make the experience even better. I recommend the ever-popular Beats or a solid pair of over-the-ear Bose headphones. Eat brain food. Trail mix is 90% of my diet. I love to make my own by buying a huge container of mixed nuts, bittersweet chocolate and Craisins. Trail mix has tons of protein and healthy fats that stimulate your brain and give you plenty of energy to maximize productivity and minimize procrastination-induced stress. Keep an organized agenda. I love my Lilly Pulitzer agenda, but as long as you have a quality agenda (designer or otherwise), you can stay organized and on top of assignments. Nothing gives me more pleasure than crossing off finished projects and assignments in my planner. Staying organized keeps all of your "to-do's" in sight so you don't get overwhelmed. Treat Yo' Self. I am a self-confessed Starbucks addict but have been very good lately about saving Starbucks drinks for more special occasions like after a big test or when I'm done with classes for the week. This makes tests much more manageable since I give myself something to look forward to! My current fave is the new Tiramisu latte-- its delish! If you don't have a Starbucks on campus, check out my favorite K-Cups for my Keurig ! Meditate. This is going to sound a little strange and its not for everyone, but when I'm stressed beyond the point of no return, I find that sometimes the only way to relax is to close my eyes, clear my mind and take deep breaths. Follow this with a trip to Starbucks and you're golden. My friend Betsy (The Sweet and Chic Prep) just featured some of the items in my shop on her blog. 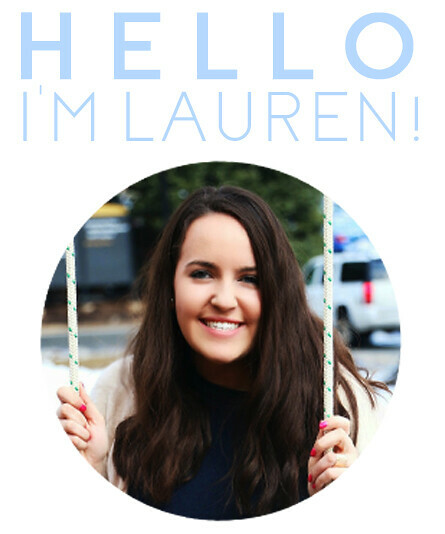 Check out her post (and her wonderful blog) and shop 'til you drop! This is my mantra lately. 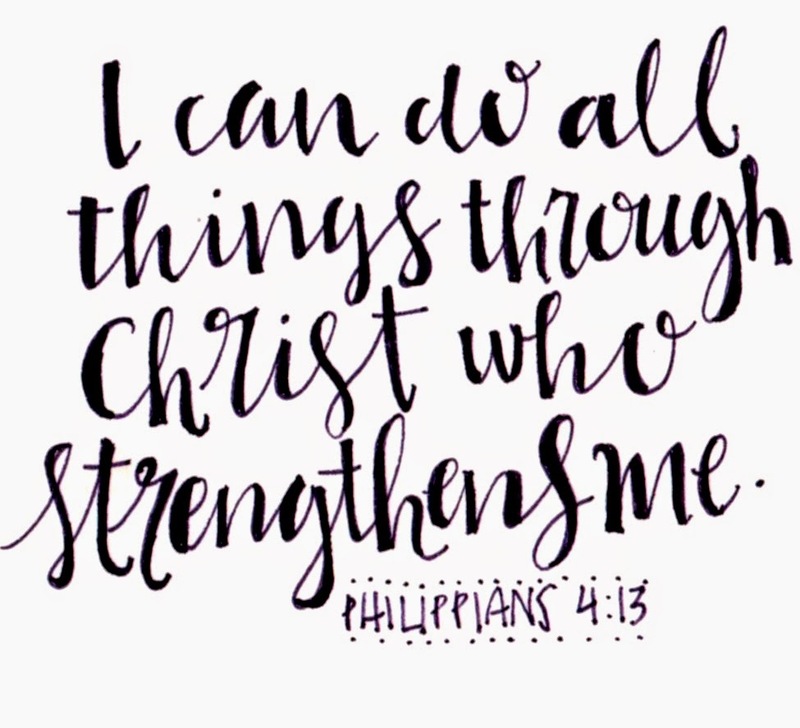 Believe you can, and with prayer and reflection, God will help you reach your dreams.